Known for its neighbouring lakes, Mullingar in Westmeath County in Ireland is a great vacation destination. Author James Joyce was a regular visitor to Mullingar in his youth and his family often stayed at the Greville Arms Hotel, which is now immortalised in Joyce's novel, Ulysses. The hotel is still in operation in the heart of Mullingar and provides guests with fine accommodations and plenty of history. 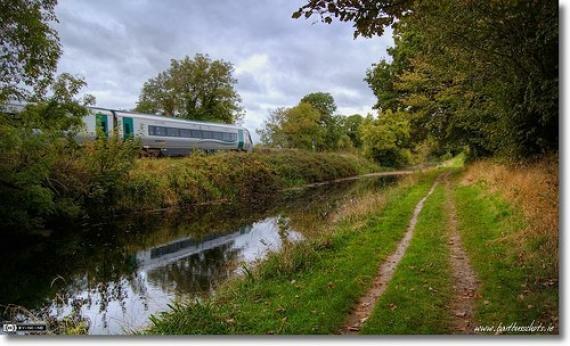 Travel to and from Mullingar is easy as it is on one of the many express bus routes to Dublin and train service is available as well. There is no shortage of hotels and bed and breakfasts in Mullingar. There is also no shortage of hospitality. All of the lodgings in Mullingar seem to be known for their hospitality, from the Novara House Bed and Breakfast to the Bloomfield House Hotel, you will be very well cared for. Anglers will love the fishing in the surrounding lakes, Lough Owel, Lough Lene and Lough Ennell. If swimming or wind surfing is more your style, Lough Lene is known for its clear water, as well as historic ringforts. Golfers will enjoy hitting the links at the Mullingar Golf Club, a championship course by famous Scottish designer James Braid. You don't have to be an avid gardener to appreciate the beauty to be found at Omearas Garden Center and Belvedere House Gardens & Park. Both places provide the perfect place to spend a sunny afternoon with the family. Children will enjoy the playgrounds and nature walks at Belvedere House and be amazed at the 30 different kinds of apple trees at Omearas. While in Mullingar, you must visit the town's main attraction, the Cathedral of Christ the King. Built in 1939, it contains mosaics in the chapels of Saint Anne and Saint Patrick done by renowned Russian artist, Boris Anrep. Guided tours of the cathedral are available from June to September, but it is open to visitors year round. You can also see more works of art and pieces of history at the Market House Museum and the Military Museum in Mullingar. Mullingar is home to one of the best live music venues in the Midlands, The Stables. Open since 1990, The Stables has provided a venue for many of Ireland's most talented and up and coming musicians as well as some of Ireland's most famous artists. Snooker is a popular pastime for Mullingar. The St. Mary's Snooker Club hosts several events such as the Mullingar Open Snooker Championship, The Westmeath Open Snooker Championship, the Midland Open and the St Mary's Open Classic. Many world champion Snooker players have come from County Westmeath. Whether you want to fish, have a romantic getaway, or a family outing, Mullingar is the perfect place. From its gorgeous farmland and lakes, to its rich art and history, Mullingar provides the perfect relaxing holiday. Find information about selected Hotels, apartments and rooms in Mullingar to choose the perfect place for your accommodation.